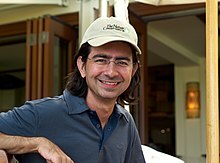 Pierre Morad Omidyar (Persian: پیر مراد امیدیار‎, Persian pronunciation: [piːjeɾ moɾɑːd omiːdjɑːɾ] born June 21, 1967) is an American billionaire entrepreneur and philanthropist. He is the founder of eBay where he served as chairman from 1998 to 2015. He became a billionaire at the age of 31 with eBay's 1998 initial public offering (IPO). Omidyar and his wife Pamela are well-known philanthropists who founded Omidyar Network in 2004 in order to expand their efforts beyond non-profits to include for-profits and public policy. Since 2010, Omidyar has been involved in online journalism as the head of investigative reporting and public affairs news service Honolulu Civil Beat. In 2013, he announced that he would create and finance First Look Media, a journalism venture to include Glenn Greenwald, Laura Poitras, and Jeremy Scahill. Omidyar was born in Paris, the son of Iranian parents who migrated to France for higher education. He was given the name of Parviz. His father, Cyrus Omidyar (c. 1934-), is a surgeon who worked as a urologist at Johns Hopkins University in Baltimore and now practices in Aliso Viejo, California. Due to his father's work, the family moved to the US when Omidyar was a child. His mother, who did her doctorate in linguistics at the Sorbonne, is an academic. His interest in computers began while he was a ninth-grade student at The Potomac School in McLean, Virginia. He graduated from St. Andrew's Episcopal School, Potomac, Maryland, in 1984. He graduated from Tufts University in Medford/Somerville, Massachusetts, with a bachelor's degree in computer science in 1988. He also had studied at the University of California, Berkeley during his undergraduate years. Shortly after, he went to work for Claris, an Apple Computer subsidiary, where he worked on the team that upgraded MacDraw to MacDraw II. In 1991, he co-founded Ink Development, a pen-based computing startup that later was rebranded as an e-commerce company and was renamed eShop Inc.. Microsoft acquired eShop on June 11, 1996 for less than $50 million and Omidyar earned $1 million from the deal. In 1995, at the age of 28, Omidyar began to write the original computer code for an online venue to enable the listing of a direct person-to-person auction for collectible items. He created a simple prototype on his personal web page, and on Labor Day, Monday, September 4, 1995, he launched an online service called Auction Web, which would eventually become the auction site eBay. The service was originally one of several items on Omidyar's website eBay.com, which also had a section devoted to the Ebola virus, among other topics. The first item sold on the site was a broken laser pointer. Omidyar was astonished that anyone would pay for the device in its broken state, but the buyer assured him that he was deliberately collecting broken laser pointers. Similar surprises followed. The business exploded as correspondents began to register trade goods of an unimaginable variety. Omidyar incorporated the enterprise; the small fee he collected on each sale financed the expansion of the site. The revenue soon outstripped his salary at General Magic and nine months later, Omidyar decided to dedicate his full attention to his new enterprise. By 1996, when Omidyar signed a licensing deal to offer airline tickets online, the site had hosted 250,000 auctions. In the first month of 1997, it hosted two million. By the middle of that year, eBay was hosting nearly 800,000 auctions a day. In 1997, Omidyar changed the company's name from AuctionWeb to eBay, and began to advertise the service aggressively. The name "eBay" was the second choice that Omidyar wanted for the website. His first choice for the website was already registered to a Canadian mining company, Echo Bay Mines. He originally wanted the "Echo Bay" name because of the recreational area near Lake Mead, Nevada because it "sounded cool." When he found out that echobay.com was taken, he simply dropped the "cho", and ebay.com was born. The frequently repeated story that eBay was founded to help Omidyar's fiancée trade Pez candy dispensers was fabricated by a public relations manager in 1997 to interest the media. This was revealed in Adam Cohen's 2002 book, and confirmed by eBay. Jeffrey Skoll joined the company in 1996. In March 1998, Meg Whitman was brought in as president and CEO, and continued to run the company until January 2008, when she announced her retirement. In September 1998, eBay launched a successful public offering, making both Omidyar and Skoll billionaires. As of July 2008[update], Omidyar's 178 million eBay shares were worth around $4.45 billion. Omidyar is also an investor of Montage Resort and Spa in Laguna Beach, California. Additionally, Omidyar is also a member of the Berggruen Institute's 21st Century Council. In 2010, Omidyar launched an online investigative reporting news service, Honolulu Civil Beat, covering civic affairs in Hawaii. The site has been named Best News Website in Hawaii for three consecutive years. On September 4, 2013, Honolulu Civil Beat started a partnership with The Huffington Post, launching the weblog's latest regional addition, HuffPost Hawaii. In 2013, prompted by the Edward Snowden leaks, Omidyar announced the creation of First Look Media, a journalism venture launched on February 10, 2014 with The Intercept and including such journalists as Glenn Greenwald, Laura Poitras, Jeremy Scahill, Dan Froomkin, John Temple, and Jay Rosen. Omidyar has been part of the executive producer team for the following films. Omidyar Network is a philanthropic investment firm dedicated to harnessing the power of markets to create opportunity for people to improve their lives. It was established in 2004 by Omidyar and his wife, Pam. The organization invests in and helps scale innovative organizations to catalyze economic, social, and political change. To date, Omidyar Network has committed more than $992 million to for-profit companies and nonprofit organizations that foster economic advancement and encourage individual participation across multiple investment areas, including Property Rights, Governance & Citizen Engagement, Education, Financial Inclusion and Consumer & Internet Mobile. In 2010, he and his wife established, along with Richard Branson and the Nduna Foundation (founded by Amy Robbins), Enterprise Zimbabwe. Omidyar and his wife, Pamela, own properties in Henderson, Nevada, and Honolulu, Hawaii. According to Forbes, his net worth was $10.9 billion (US) as of February 2018[update]. Omidyar is a major donor to Democratic Party candidates and organizations. 2018's Third Most Influential French Entrepreneur by Richtopia. ^ a b c d e "Forbes Profile: Pierre Omidyar". Forbes. Retrieved April 5, 2019. ^ "Hawaii News - Honolulu Civil Beat - Investigative Reporting". Civil Beat. ^ "The extraordinary promise of the new Greenwald-Omidyar venture (UPDATED)". Columbia Journalism Review. ^ a b "Here's Who's Backing Glenn Greenwald's New Website". Reuters via HuffPo. October 15, 2013. ^ "Pierre Omidyar". Tufts Now. October 16, 2013. Retrieved May 12, 2018. ^ "Pierre Omidyar". Forbes. Retrieved May 12, 2018. ^ Viegas, Jennifer (July 2006). Pierre Omidyar: The Founder of Ebay. The Rosen Publishing Group. ISBN 9781404207158. ^ Cohen, Adam (June 16, 2002). "'The Perfect Store'". The New York Times. ISSN 0362-4331. Retrieved May 12, 2018. ^ Ellison, Sarah. "Can First Look Media Make Headlines That Aren't About Itself?". The Hive. Retrieved May 12, 2018. ^ Viegas, Jannifer. Pierre Omidyar: The Founder of Ebay. ^ "Microsoft Acquires eShop Inc". January 4, 2009. Retrieved September 13, 2018. ^ "Microsoft Corp acquires eShop Inc (1996/06/11) - Thomson Financial Mergers & Acquisitions - AlacraStore.com". August 3, 2009. Retrieved September 13, 2018. ^ "MS adds eShop to its buying spree". CNET. June 11, 1996. Retrieved September 13, 2018. ^ a b "Pierre Omidyar Biography and Interview". www.achievement.org. American Academy of Achievement. ^ Erin Griffith (October 16, 2014). "eBay started as a website about Ebola". Fortune. Retrieved November 5, 2014. ^ Kyle Alspach (October 17, 2014). "Ebay began as a site about Ebola, but it's a mystery what was on it". BostInno. Retrieved November 5, 2014. ^ Viegas, Jennifer (2007). Pierre Omidyar: The Founder of eBay. New York: The Rosen Publishing Group, Inc. p. 52. ISBN 1-4042-0715-5. ^ "EBAY: Major Holders for eBay Inc". Yahoo! Finance. Retrieved February 25, 2010. ^ "Berggruen Institute". Retrieved January 5, 2017. ^ "Civil Beat Named Best Hawaii News Website for the Third Year in a Row". Retrieved September 8, 2013. ^ Rice, Andrew (November 2, 2014). "The Pierre Omidyar Insurgency". New York. Retrieved November 4, 2014. ^ "NYU's Jay Rosen to join Omidyar venture". Politico. ^ Kilday, Gregg (August 7, 2014). "Robert Kenner's Doc 'Merchants of Doubt' Goes to Sony Pictures Classics - Hollywood Reporter". The Hollywood Reporter. Retrieved December 26, 2015. ^ Chang, Justin (September 3, 2015). "'Spotlight' Review: Michael Keaton Stars in Drama About Catholic Abuse Scandals". Variety. Retrieved December 26, 2015. ^ Guth, Robert A. (October 22, 2008). "EBay Founder's Philanthropic Firm to Donate More". The Wall Street Journal. ^ "Omidyar Network". Retrieved September 7, 2016. ^ "Pierre Omidyar's House". Virtual Globetrotting. Retrieved February 28, 2015. ^ "Hall of Fame - EY Entrepreneur Of The Year." Hall of Fame - EY Entrepreneur Of The Year. N.p., n.d. Web. April 13, 2015. 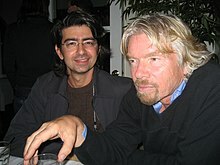 Search: "Pierre Omidyar "<http://eoyhof.ey.com/#!/search>. ^ "Top 100 French Entrepreneurs 2018: From Claude Posternak to Fleur Pellerin, These Are the Most Influential Entrepreneurs From France". Richtopia. Retrieved August 23, 2018. "An Interview With Pierre Omidyar". New York Times, October 20, 2013. Retrieved October 21, 2013. "Pierre Omidyar Ready To Spend $250 Million On Glenn Greenwald's News Startup". Forbes, October 16, 2013. Retrieved October 21, 2013. "Snowden Journalist’s New Venture to Be Bankrolled by eBay Founder". New York Times, October 16, 2013. Retrieved October 21, 2013. "The extraordinary promise of the new Greenwald-Omidyar venture". Columbia Journalism Review, October 17, 2013. Retrieved October 21, 2013. Rice, Andrew (November 2, 2014). "The Pierre Omidyar Insurgency: How the Snowden Leaks Gave Pierre Omidyar a Cause — and an Enemy". New York Media LLC. Archived from the original on November 3, 2014. Retrieved November 2, 2014. It is possible to begin to discern Omidyar’s motivations with a little online surveillance. This page was last edited on 22 April 2019, at 19:26 (UTC).